Who Brews Farmhouse Ginger Beer? Given the vast array of beer styles, hybrids and bastardisations lining bars and fridges nationwide, it's tougher than ever for a brewery to create something to stand out – especially if you want it to be something you can sell repeatedly. 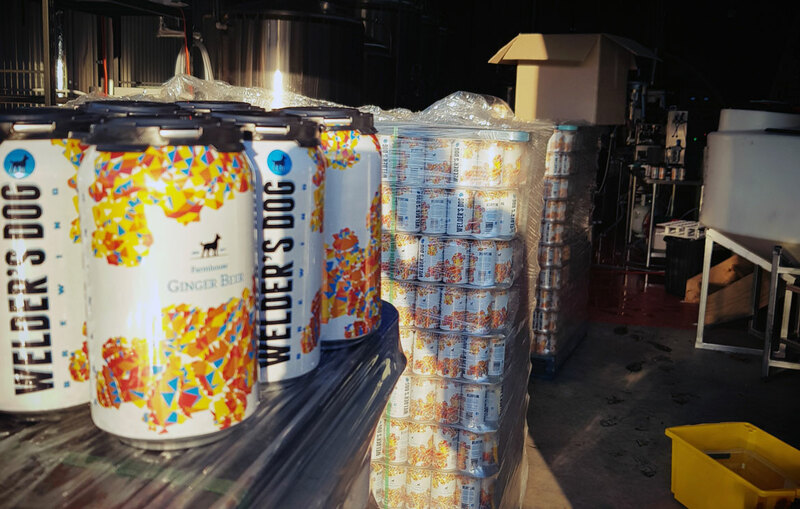 Yet, as far as we're aware – and as far as the trio behind it is aware – Welder's Dog may have come up with a launch beer for their brewery unlike anything else on the market. Their first release, which they've been pouring at their two beer bars in Armidale and Tamworth and are sending further afield in cans, is the Farmouse Ginger Beer. It's a gluten free affair, brewed with 150kg of ginger from third generation Templeton Ginger in each 1,000 litre batch, that looks to revive traditional methods of brewing such beers. As such, into the fermenter they add a house lactobacillus strain to add a gentle sourness before final fermentation takes place. The result is a drink that's unlike the majority of ginger beers on the market – still packing the sort of ginger hit you'd expect from a beer with 5kg added per keg but less sweet. 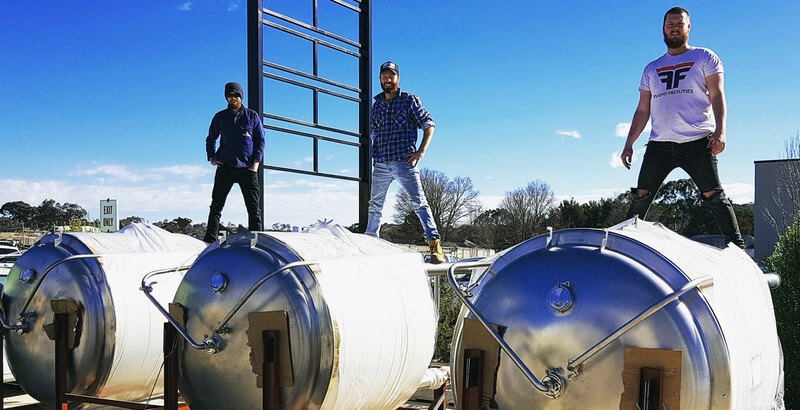 According to Daniel Emery (above left), who launched the first Welder's Dog bar in Armidale in 2014 with Tom Croft (above right), the idea was to fill a gap in their own offering as much as one in the wider beer market. "One thing we drink a lot of is ginger beer," says Daniel. "We're into our kombucha too and had been using that in our cocktails. We wanted to use ginger beer but the ones we did have were a bit sweet." So, they did some research, started reading about traditional ginger beers fermented with a mixed culture called a "ginger beer plant" and set about designing their own. "We figured, 'What's the point in in doing this if we don't do something that's a bit different? '," says Daniel. "We see it from both ends – people trying to sell us beers and it's constant and it's competitive." 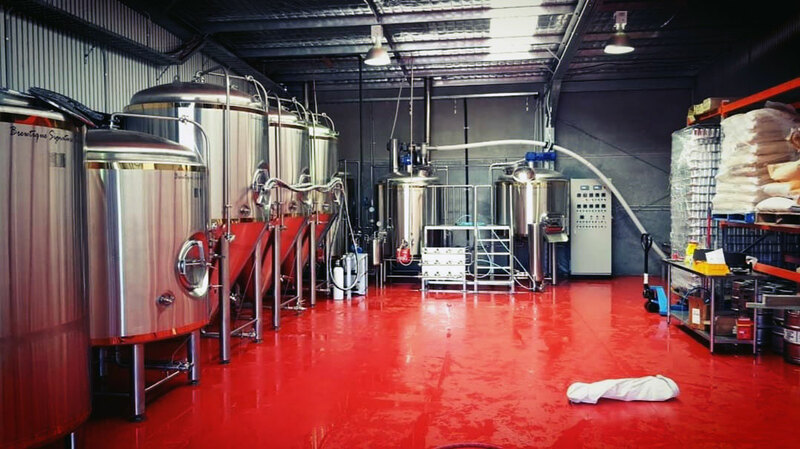 Having made the decision to enter the world of brewing this winter, in part in response to regular prompts from their customers, they installed a brewery (above) and a Cask canning line, while adding a third member to the team. Joining Daniel and Tom was Phil Stevens (top centre), a keen homebrewer who shared their vision and is now working full time at the brewery. "I came up with the recipe basically because I couldn't find any ginger beer I really enjoyed on the market," says Phil. They're still deciding where to head next in terms of a second wider release, although Daniel says there's an IPA in tank destined for the taps at their pubs. "We wanted to just focus on this [ginger beer] because we think it's a very unique thing," says Phil. "We'll bring out a summer seasonal ginger beer – we'll introduce some fruit and use less ginger. [But] we'll never be heading into the pale ale beer market – it will always be something different or sour; stuff that people aren't doing." Three mates born and bred in the New England region. Just love the art form and getting to work with mates. We've only just launched our first, which is the Farmhouse Ginger Beer. The cans were designed by a local art teacher who's a big fan and a creative dude. We started a craft beer bar in 2014 called The Welder's Dog in Armidale, which we still run. It's a bit tongue in cheek as we certainly don't condone people getting blind, but we had a mate way back at uni once tell us after a day at the races that he was blind as a welder's dog and the saying stuck with us. As with all good ideas, there were beers and lots of them. The idea was the easy part though. It's been a hell of a ride thus far and we are relishing the challenges. What would your desert island beer be? Tough question! Modus Pale at a pinch. Same spot plus the building next door. Pirate Life Pale, Welder's Dog Ginger. 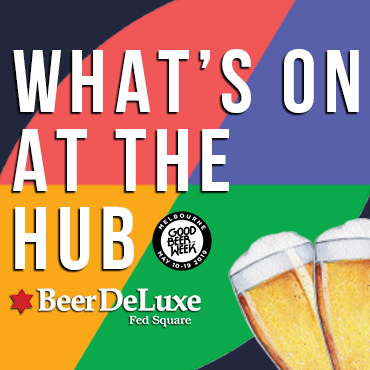 BoozeBud, mybottleshop.com.au and plenty of others. Soon to be more. You can check out past Who Brews...? features here.